Near the capital of South Tyrol, the Wine Route crosses the second large wine production area of the region, Valle Isarco. 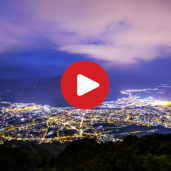 An introduction to the city of Bolzano, the capital of South Tyrol and gate to the Dolomites. Situated at 560 m a.s.l. at San Giorgio, 4.5 km above Bolzano, there is an idyllic chapel surrounded by vineyards – the St George Chapel. From there you have an awesome view on the Dolomites and the city of Bolzano. We have taken a look at it in autumn, from a bird‘s eye view. 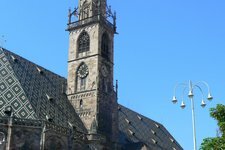 It is Bolzano‘s landmark: the Cathedral with its 65 m high bell tower. The bishop‘s church, in romanic and gothic style, houses many precious masterpieces. Some of them can be admired in the Cathedral‘s Museum. The Cathedral is located right next to the Walther Square and is well worth a visit. Visiting the ruins of Grifo Castle or otherwise known as „Sauschloss“, is always worth a trip. The excursion, beginning from the bus stop in S.Maurizio first winds through vineyards before getting steeper in the shrublands. The trail to the castle leads over Cologna where the ruins lie like an eagle‘s nest, clinging to the red porphyry rock. 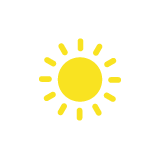 Back in the 17th century, Renon was the place of refuge from the hot summer months for Bolzano‘s high society. 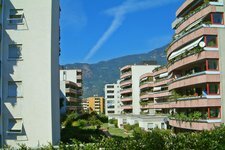 Every since then, Renon has continued to be the summer resort for some of Bolzano‘s well-off citizens. Only the freshest products and local delicacies can be found at the Farmer‘s Market in Bolzano. Here, the quality of the products can be verified by the excellent taste and flavours. Organic farming and exceptional quality are at the top of South Tirol’s program. The famous fruit market of Bolzano lies in the heart of the city and offers many interesting attractions that are sometimes overlooked, at first glance. 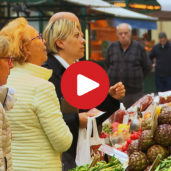 The market resides in the capital city of Bolzano and while it’s primarily used as a trading centre, it also functions as a meeting place for different cultures, where tourists and residents can enjoy the scents and sounds of a bustling, marketplace. 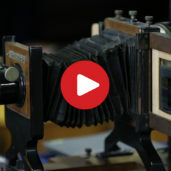 Take a stroll with us and experience this for yourself. The South Tyrolean chestnut trail, or as it is known locally „Ketschnweg“, combines the 60km long slope between Bolzano and Bressanone. It is a part of the South Tyrolean „Jakobsweg“. We explore on of the four stages of this trail that begins at Castel Roncolo near Bolzano. 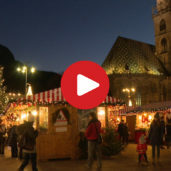 Christmas, being the magical time of the year it is, is the perfect way in which the city of Bolzano can show its best side: Lights, aromas, sounds and colours can be seen, smelt, and heard in every corner of the city, especially in the centre where the Christmas Market can be found. Come with us and and follow us on our search fro traditional and regional delicacies and see the city from a new and magical side. Welcome to the Bolzano Christmas Market! Going for a stroll, bargaining, tasting… Visiting a market is a particular experience. 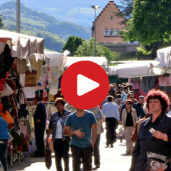 The Saturday Market is one of the main events in the charming and vivid city of Bolzano. A felicitous conjunction of beauty, secret and myth surrounds one of the most charming places in the area of Bolzano: Santa Maddalena. Between vineyards and cellars, panoramic views on the capital of South Tyrol and excellent wines we search for the Holy Grail with unique Cobo. Moreover we discover a magic, centuries-old symbol in the ancient walls of Castle Mareccio. Come with us on this mystery tour, even Casanovas marks we will encounter! Italian elegance combined with South Tyrolean hospitality. Come with us and enjoy a shopping day in the old town and under the awesome ancient arcades of Bolzano. Especially the gorgeous architecture, the product diversity and the particular city atmosphere on the famous fruit market of Bolzano are really fascinating. Take a break from everyday life with us. The roughness of the Dolomites and the sweetness of the green meadows, plenty of chances to relax and to be active: This and much more is what the summer in South Tyrol means. We have collected some highlights from this long expected season. The rich frescoed Runkelstein Castle (also known as Castel Roncolo), boast of the city of Bolzano, as seen from above. On the one hand Bolzano, a famous city, has many different faces. 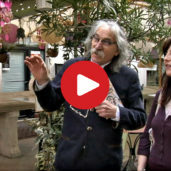 On the other hand Cobo, a globetrotter, inventive artist and owner of a likewise original venue in the centre of Bolzano, which is also the final stop of our wander through Bolzano. In this walk we discover several secret facts regarding the city that, except Cobo, hardly anyone is familiar with. 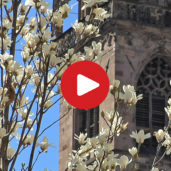 From Dracula to Saint Francis, from the Teutonic Knights to Boccaccio - a short but enthusing tour on the scent of the city’s secrets. 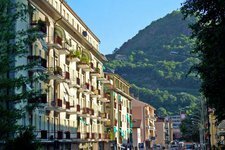 This is Bolzano: A mix between tyrolean and italian cuisines, tradition and innovation, alpine and mediterranean flavours. The South Tyrolean Wine Route stretches from Nalles to Bolzano and the Oltradige, via the Bassa Atesina to Salorno. This area comprises about 90% of the South Tyrolean Wine production, including the typical varieties of wine such as the Merlot and Lagrein, as well as the Pinot Girgio and the Chardonnay. By the way, the South Tyrolean Wine Route is the most ancient of Italy. Chains of light, festoons, the sweet flavour of cinnamon and Christmas bakery in the air, solemn Christmas songs all over… this is how the centre of Bolzano presents itself in Christmas time. 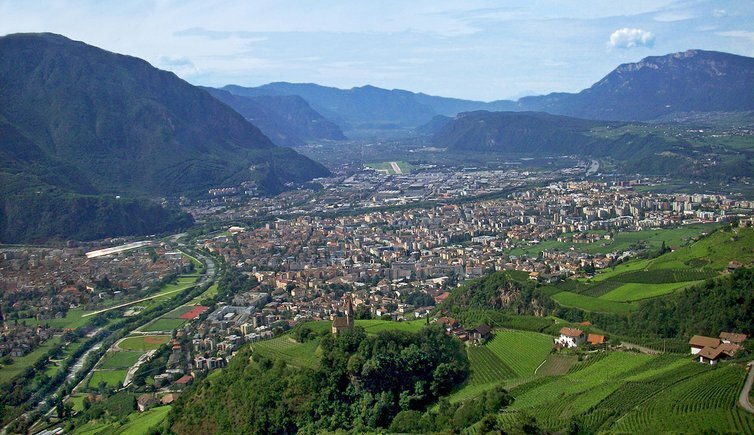 With more than 100,000 inhabitants, the city of Bolzano is an important centre in the Alpine area. 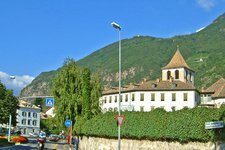 Bolzano is the administrative centre of politics of the South Tyrolean autonomy, but also an economic and cultural centre. 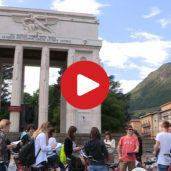 Since the foundation of the Free University of Bolzano in the mid ’90s, the city has also become a multilingual research and educational centre and is the connection between the German-speaking and Italian-speaking cultures. The historic district of Bolzano is both the centre of Bolzano and South Tyrol. Colle is a small settlement at 1,100 m asl, reachable from Bolzano by a cable car.